The Modular Rack & Pinion System is the primary building block of a linear axis drive. This system consists of a standard range of straight (spur), circumferential pitch, and helical racks and pinions. The modular design permits rack segment lengths from 0.5 to 2 meters to be linked together end to end achieving any desired travel length from standard components. 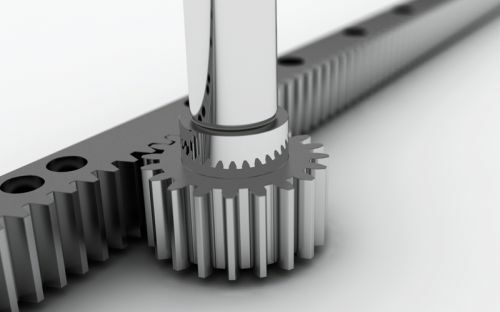 Racks and pinions are available with different materials, heat treatments and quality levels to insure the correct balance of power, precision and price to meet the application requirements.